In the divine seven hills of Tirumala, located on the banks of Swami Pushkarini, is the Sri Varaha Swamy Temple also known as Sri Bhu Varaha Swamy Temple. Standing to the north of Tirupati Balaji Temple, this temple also holds immense religious significance. It is dedicated to Sri Bhu Varaha Swamy, one of the incarnations of Lord Vishnu, a form of the wild boar. According to the legend behind the temple, when Lord Sri Venkateswara Swamy came down to Earth, to the hills; Sri Bhu Varaha Swami was residing there. 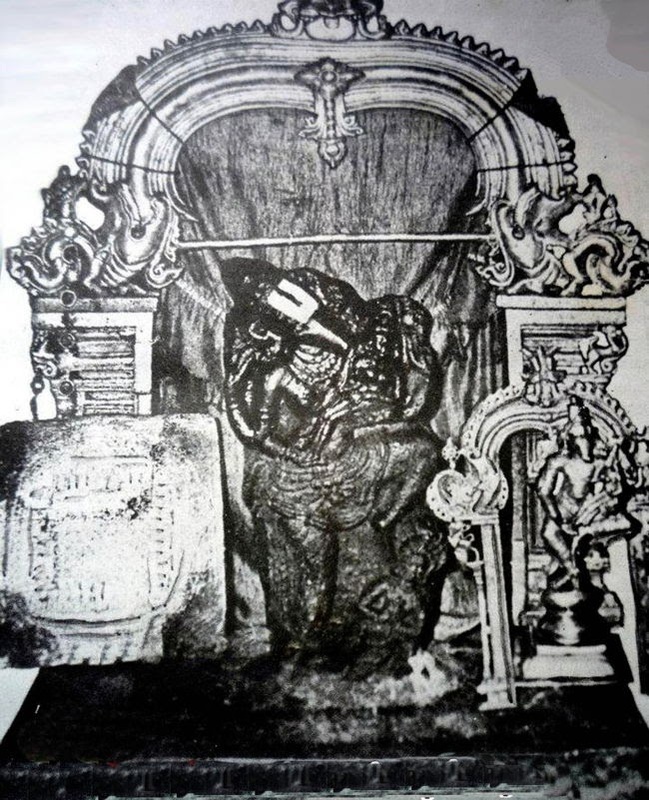 Sri Bhu Varaha Swamy was residing on the hills when Lord Sri Venkateswara Swamy descended onto the earth. According to Hindu scriptures, the original name of Tirumala is Adi Varaha Kshetra, which means the abode of Sri Varaha Swamy. There has been mention of the temple is the Brahma Purana as well. According to it, Lord Varahaswami who was residing on the hills gave the land of holy seven hills to Lord Venkateswara Swamy when requested. In order to thank him, Lord Venkateswara gave the gift of first darshan and also the first naivedyam to Sri Varahaswami. This privilege was given by the lord as a thanks giving gesture. Special abhishekam is performed every year, to the presiding deity in the holy month of Shravana, with the advent of the Shravana star on the auspicious occasion of Varaha Jayanthi. It has been mentioned in the holy book of Brahma Purana, it is essential for the devotees should first offer Naivedyam, which is the food cooked and offered to the God, to Sri Varahaswami. 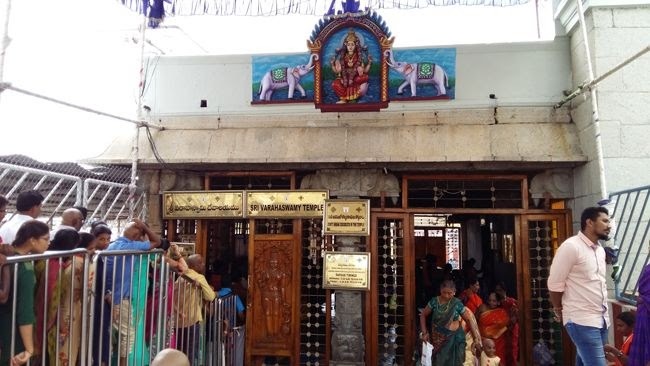 It has also been specified that pilgrims must visit the Sri Varahaswami temple, and seeks lord’s blessings before offering their prayers at Tirumala Temple. Hence this has been practised by every devotee, they visit Sri Varahaswamy temple first and then head towards the Tirupati Temple. 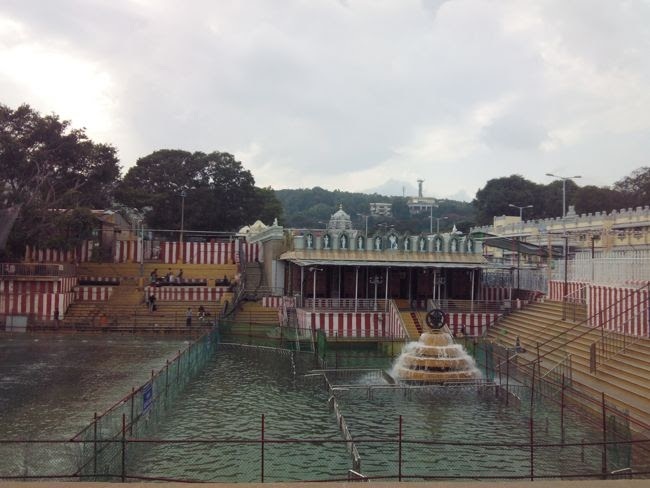 According to the beliefs, for a pilgrim to have a complete Tirupati visit, he or she first must take bath in the holy waters of Swami Pushkarini, and then offer their prayers to Sri Varahaswami Temple and afterwards a visit to the Tirupati Balaji Temple. The statue of Lord Varahaswami in Tirumala is in the form of Adi Varaha, resembling the way Adi Varaha Murti has been described in the Vaikhanasa Agama texts. In the revered Hindu text, Atri Samhita or Samurtarchanadhikara, it has been mentioned that the incarnation of Lord Vishnu, Varaha is worshipped in three different forms, namely Adi Varaha, Pralaya Varaha and Yajna varaha. As per legend, after saving the Earth from Hiranyaksha, Lord Varaha stayed on this hill on the northern bank of Swami Pushkarini. Hence Tirumala Hills is also referred to as Adivarahakshetra. During the beginning of Kaliyuga, Lord Varaha donated land to Lord Venkateswara on his request. As a gratitude, Lord Venkateswara offered first bell, puja and Naivedyam to Varahaswamy before they were offered to him. This is being followed as a tradition even today. Sri Varahaswamy Temple or Bhu Varahaswamy Temple is a Hindu-Vaishnavite temple situated at hill town of Tirumala in Tirupati, Chittoor District of Andhra Pradesh state, India. The Temple is dedicated to Lord Varaha, third incarnation of Vishnu's Dasavatharam. The temple is situated on the northern premises of Venkateswara Temple, Tirumala, on north west corner of Swami Pushkarini. This temple is believed to be older than the Venkateswara Shrine.